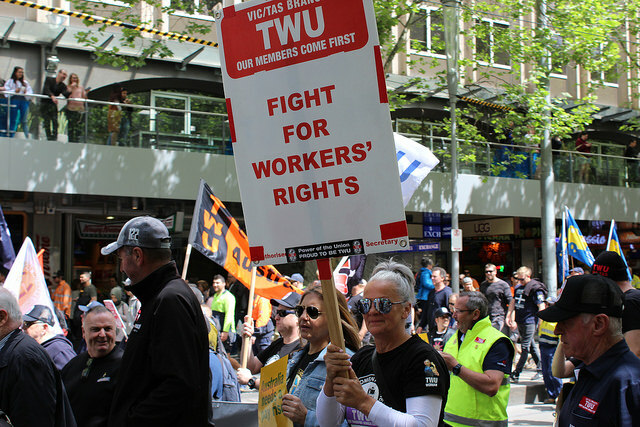 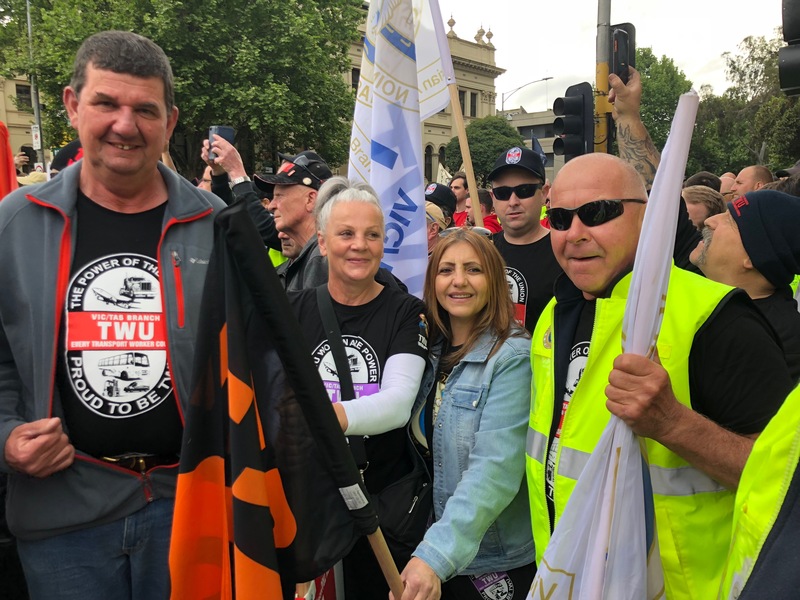 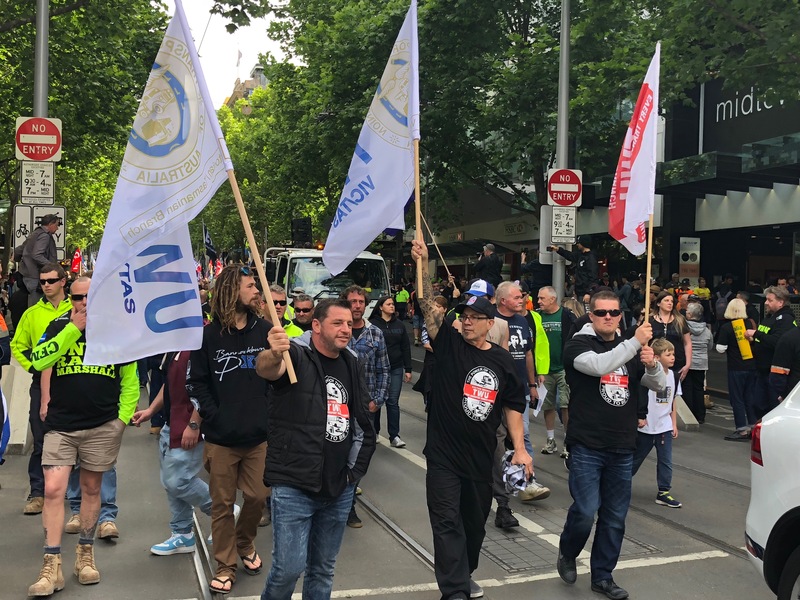 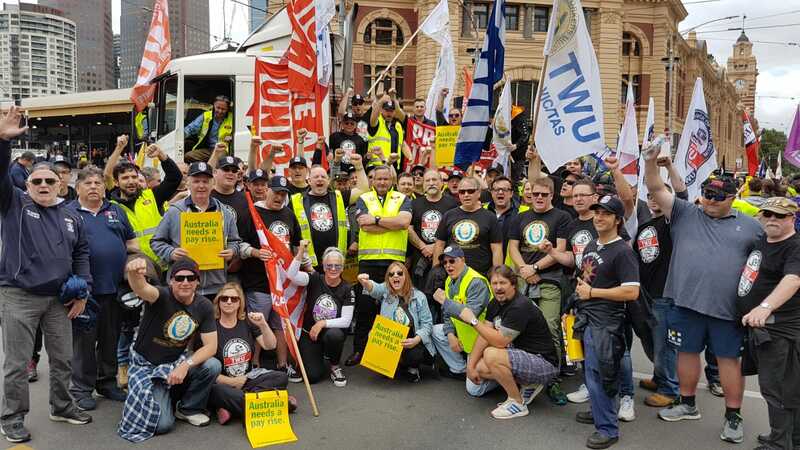 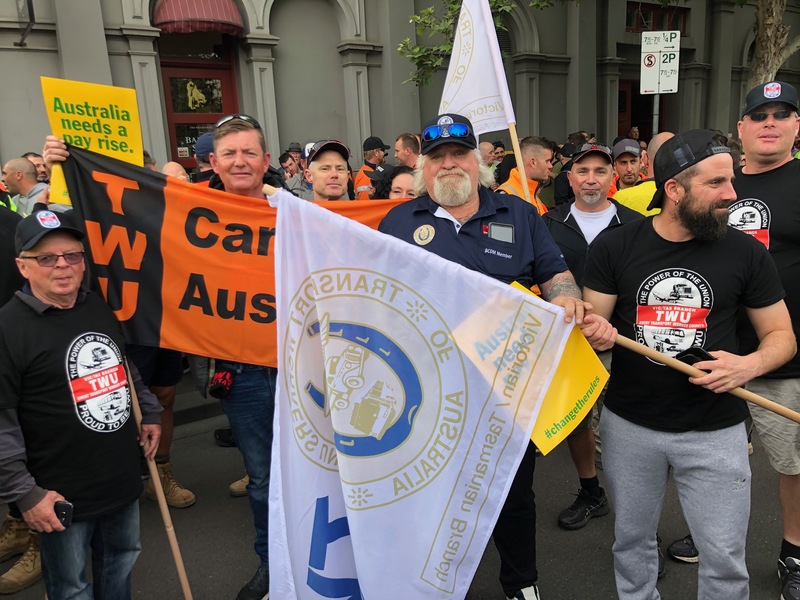 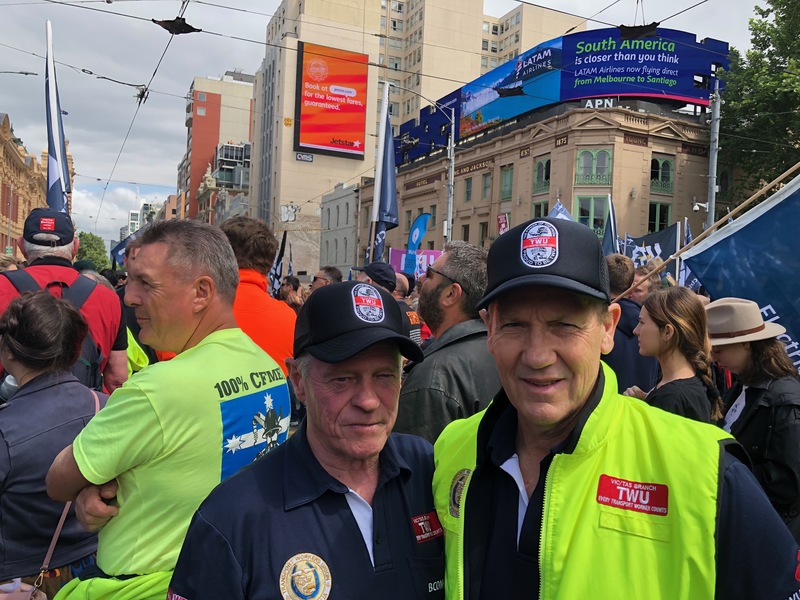 TWU (Vic/Tas Branch) Secretary John Berger told 160,000 protesting unionists at today’s Australian Unions rally in Melbourne that transport industry workers are also bearing the brunt of Australia’s broken industrial relations system. 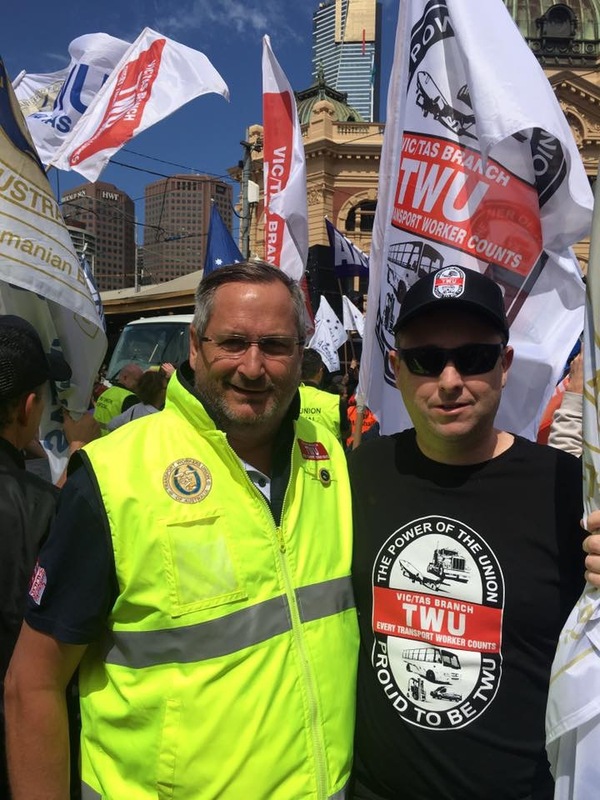 But he said, while the Coalition ripped down the Road Safety Tribunal in the dead of night, Bill Shorten MP had promised to replace it. 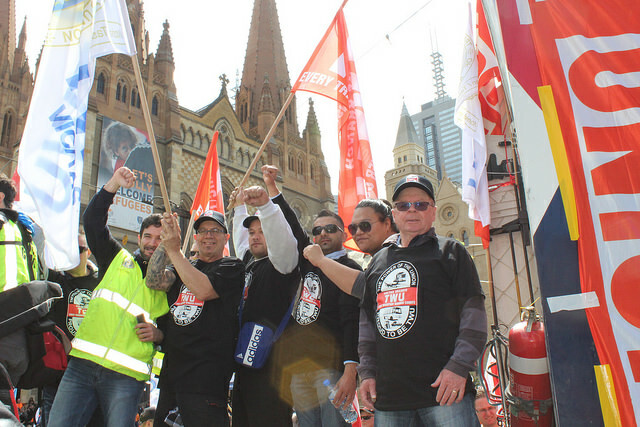 We must #ChangeTheRules to end casualisation, restore penalty rates and introduce the tools to negotiate fair wages for a secure future. 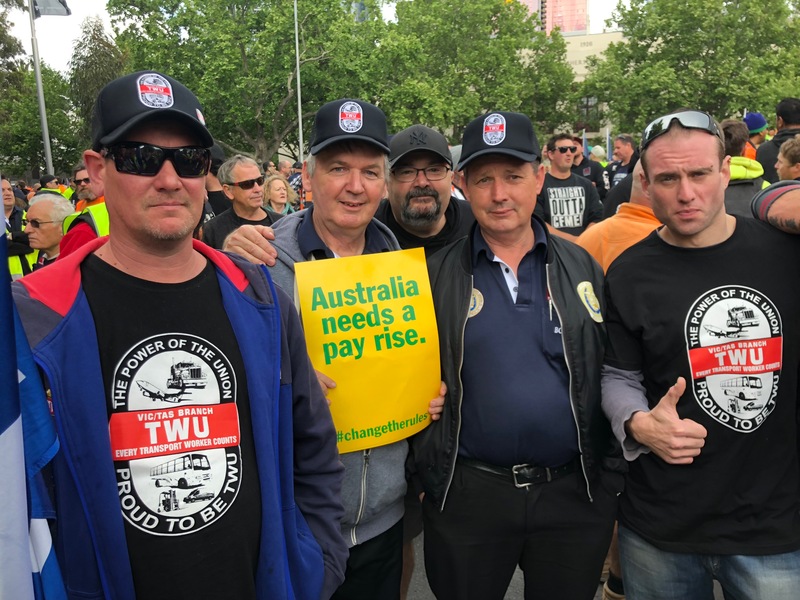 Productivity is up, profits are up and we are being governed by a bunch of muppet millionaires for billionaires. 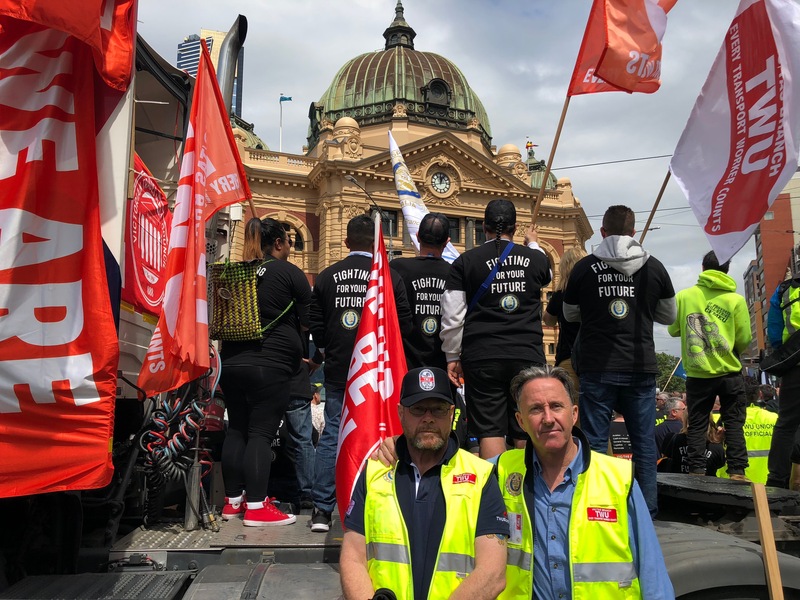 There is a three-stage plan: vote in Victorian Labor next month, vote out the Coalition next May and then work on Changing the Rules. 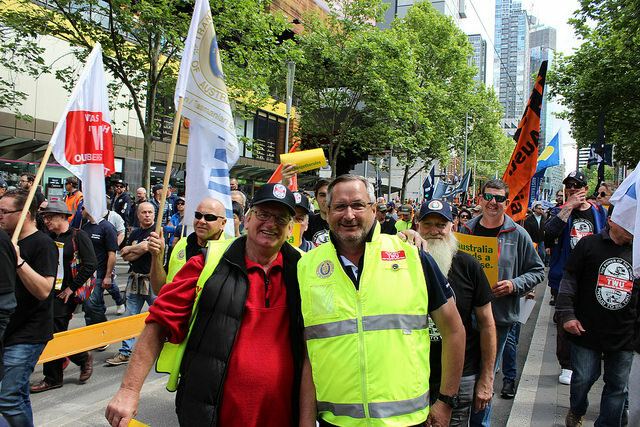 A MUST-READ LETTER FROM SENATOR GLENN STERLE – WE MUST BE DOING SOMETHING RIGHT!